Perhaps you have seen this symbol around and wondered what it meant? This is the symbol that indicates that a room or location has hearing loops. Hearing loops are an assistive listening system that transmits sound directly to most hearing aids and cochlear implant users through a telecoil, which provides a direct sound feed from the speaker to the person without background noise. During the 2017 legislative session, the Commission of Deaf, DeafBlind and Hard of Hearing Minnesotans (MNCDHH) successfully lobbied for the passage of the bill that requires good acoustics and hearing loops in public meeting spaces in state-funded construction projects. This bill was signed into law as part of the capital investment bill. This is not the first time MNCDHH has worked on acoustic standards. Back in 2005, we successfully advocated for a law that requires school boards to consult acoustic standards when creating designs for new classrooms. This law creates an improved learning environment for students. Minnesota schools love the improved acoustic standards. According to the American Speech-Language-Hearing Association and the Acoustical Society of America, the average American student can only understand 75% or less of what is being said when they are in a classroom that was not designed with improved acoustical standards. When you consider that children are still developing language, having them try to understand their teacher’s voice in noisy environments has a negative impact on their learning experience. This new 2017 law has expanded state standards for good acoustic design in a whole new area. Minimize background noise (think about how noisy heating, air conditioning, and water running in pipes can be). This is also called ambient noise. Minimize echoes in sound. This is also called reverberation. By minimizing ambient noise and reverberation, it is much easier for peoples’ voices to be heard and understood (especially for the people who are sitting in the back of the room). Many hearing aids and cochlear implants have t-coils (telecoils) built in, which allows users to access hearing loops directly with the push of a button. Many people do not realize that their devices have t-coils so check your hearing aids or cochlear implants. You might even want to talk with your audiologist about t-coils. 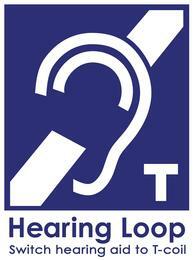 Hearing Loss Association of America has an online brochure with helpful information called, Get in the Hearing Loop. In addition, hearing loops can also send sound to portable loop receivers with headphones. Attendees at an event can request the facilities’ headphones to be able to access high-quality, clear sound (if they have loops installed where the event is located). MNCDHH is also creating resource documents and giving presentations to communicate to public and private agencies the new requirements and the industry best practices so that Minnesotans will experience the best that acoustic design and looping has to offer. More information will continue to be shared about hearing loops as the technology increases in popularity. Watch for future learning opportunities. If you have any questions about good acoustics or looping, please email Emory.David.Dively@state.mn.us.